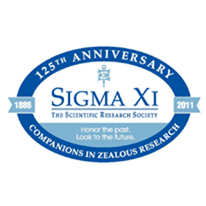 Here is a proposal I have for Sigma Xi. We form a separate profit-seeking corporation with the dues-paying members as shareholders. Call it something like Sigma Xi Innovation (SXI). The mission of SXI would be to provide guidance to its shareholders in the development of ideas from the STEM group of disciplines (Science, Technology, Engineering, and Mathematics) to successful commercial products and services. SXI would provide, through its qualified experts/shareholders, staff, and outside-contracted persons — all the necessary counsel to complete the transition from nascent idea to going concern. Precedent exists for the kind of firm like the SXI I envision. It is right here near to me in Oslo. Originally called Birkeland Innovasjon, it is now called Inven2. Kristian Birkeland was a celebrated Norwegian scientist who first seriously investigated the Northern Lights, and later founded Norsk Hydro, the hydroelectric power company, now merged with StatOil, the operator of Norway’s offshore oil and gas drilling platforms. (Birkeland appears on the Norwegian kr200 note.) Go to the site of Inven2 to see exactly what they do. You may also look at the related Oslo Innovation Center and venture capital firm Kistefos to see what an integrated approach to innovation can do. The facilities of Oslo Innovation Center are well known to me, and are right across the tube train tracks from the Blindern Campus of the University of Oslo, where my office is. My idea is similar to Inven2, except that SXI would concentrate in the STEM disciplines for the specific benefits of its shareholders. Finally, since the shareholders of SXI would have the mission of Sigma Xi dear to their hearts, they might see fit to make corporate donations to Sigma Xi, much as any firm would make a contribution to a not-for-profit entity. The fact that the directors of both organizations could have some of the same persons is simply a disclosure item, I believe, and would not invalidate the respective missions or arrangements. A side effect, and not one to be dismissed lightly, would be the aggressive creation of new jobs in the world economies. It is widely understood that most job creations takes place in entrepreneurial firms, whereas large organizations look for way to pare the employee rolls as technology advances. As well, the SXI mission would provide a business model alternative to scientists and engineers only seeking jobs in universities and government or private research institutions. More and more, as you are well aware, the best science and engineering takes place in private industry, away from the academy and subsidized think tanks. SXI would give individuals so disposed a viable pathway to successful futures. Please comment Sigma Xi members, and all other interested readers. This is a way, I believe, that Sigma Xi could get much more active in the promotion and development of the STEM disciplines, redefine itself in a positive way, and guarantee its future. This entry was posted in Blog, Sigma Xi on 15.10.2011 by Paul Carlisle Kettler.